Not many people know but I trained as a beautician and massage therapist at the age of 18. During the end of the course and about 6 weeks before my final exams I broke my wrist. This meant I couldn't take my exams. I loved everything about the course. Sadly my wrist will never be strong enough to re take the course and do the exam. I've thought about just doing a nail technician course but just haven't got round to it. Maybe one day. I love the idea of gel and acrylic nails. They look so pretty and can protect your underneath nail. 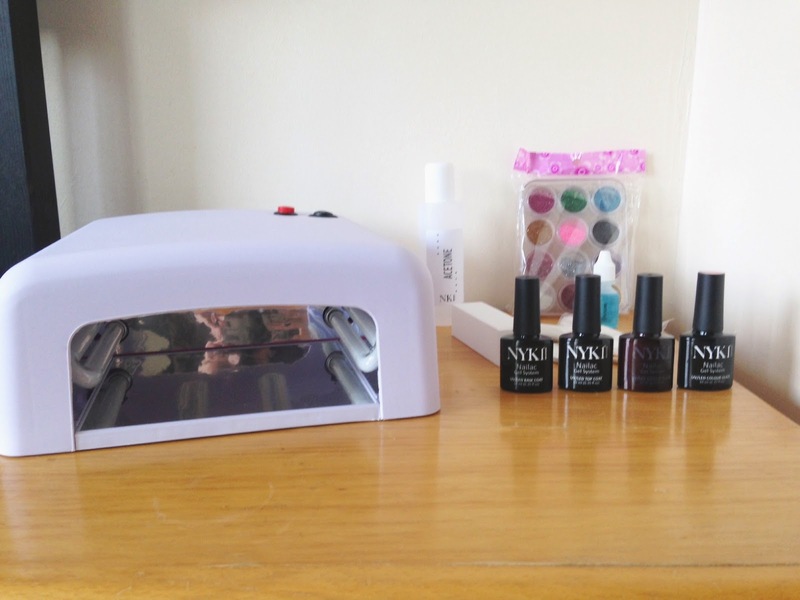 Over the past few weeks I've being trying out the NKY1 gel nail set. The set contains everything you need to get started. Although I've had training I've never done gel nails before and defiantly not on myself. Using the set is really easy and it does come with instructions which are a breeze to follow. To get started you just need to pop the bulbs into the lamp. This only needs to be done the first time you use the lamp. The next steps are what you need to follow each time you do your nails. 1) Dry manicure - Cut and file nails. Push cuticles back. 2) Wipe nails with the Prep & Shine included. The steps are really easy to get the hang of. When applying the gel thin coats are the way to go. On my first go I found that a applied them a little too thick and while it still worked ok the finished result wasn't as nice as when I did thinner coats. Applying the gel is really easy as it's just like painting your nails with regular nail varnish. My first attempt took me around 40 minutes to do both hands. I didn't mind spending that time as it can last up to 14 days. Mine lasted a week before it started chipping. It then took a good hour to remove the gel. 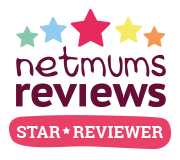 I loved that it lasted a week and I'm sure the more I practiced the longer it would last as I would get better at applying it but as a busy mum of two I don't have the time to spend that long on my nails every week. I did love that it was instantly dry when I had finished. It was lovely to not have to wait for the nail varnish to dry but I did spend a lot longer applying it than I would normal nail varnish. I also found the 2 minute wait between each coat a long time, especially as you have to do each hand separately. I think the kits are great for special occasions or holidays when you need your nails to last but for me they are a bit too much effort for everyday. Have you tried gel nails? Can I ask why you leave such a gap from cuticles?? I like my nail varnish to be really close/touching.